Click on the Udemy image to claim your discounted coupon code. Excel’s main arsenal is its functions which cover every personal or business need. TEST4U is offering to you the chance to acquire the skills that you need to use them, teaching you a few more of Excel advanced features in the process. In addition, we have included a chapter for the use of the What-if tools of Excel and the Solver add-in, along with a chapter for some basic knowledge on Data Analysis. If you want to dive in more into Data Analysis check out our Data Analysis product. 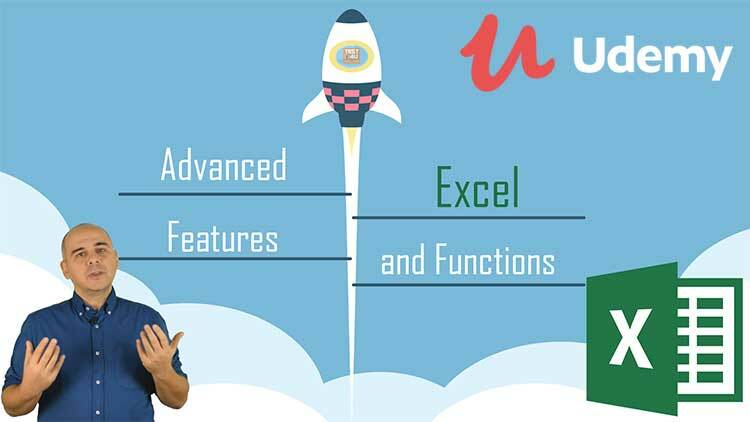 TEST4U TEST4U Excel Advanced Features and Functions Test is an interactive, highly customizable tool that meets your personal learning needs. 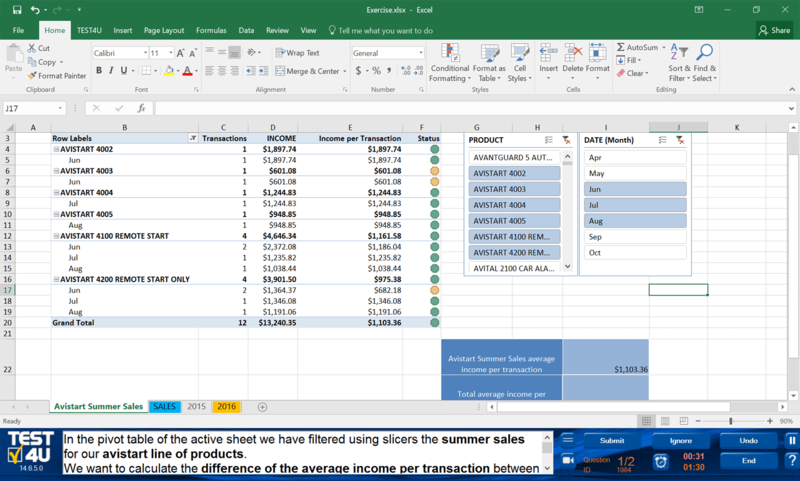 During the media-rich TEST4U experience, you will amplify your understanding of MS Excel, the most famous and flexible spreadsheet software, part of the Microsoft Office Suite. Instead of being just another e-lesson with a few multiple-choice questions, TEST4U TEST4U Excel Advanced Features and Functions Test makes the difference! The questions it contains require actual tasks to be performed. 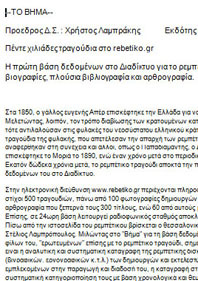 For each question, you are asked to take some actions, which TEST4U will evaluate. Much like the actual working conditions: You can’t make educated guesses! To answer correctly, you must know which buttons to use. TEST4U has created an online video course with 48 lectures of approximately 5 hours duration in total. Detailed lectures for each function with at least 2 examples. The Excel files of each lecture will be available for download as supplementary resources. This is the game changer…We will offer free access to the most innovative training concept. The TEST4U training system. It is an irreplaceable tool that provides you with a hands-on interactive way of learning. It consists of dozens of exercises that are automatically graded helping you learn by getting your hands dirty. It consists of 5 chapters. 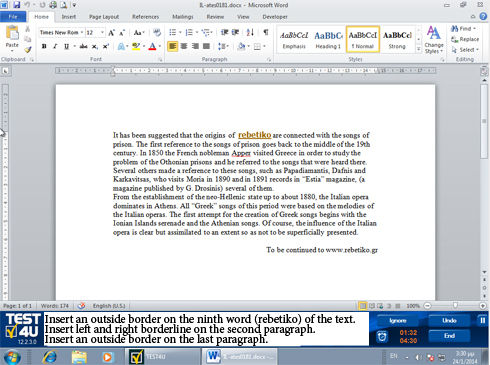 In the first part we will deal with some advanced general knowledge along with some good to know excel features. Next, we will go on a quest to find the best and most versatile lookup function. Then we have two chapters, one financial and one statistical. 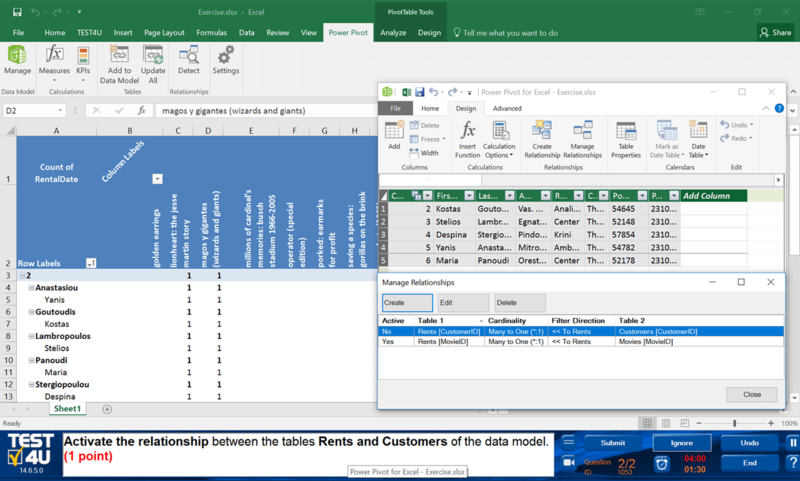 We explain how Excel helps us make our lives easier in both those fields. Finally, we will proceed into data analysis where we will introduce you to power pivot and pivot tables. These 25 hours of use can be consumed within 12 months from the date of purchasing the product.